Once again, New York City is set for a superhero showdown. In The Amazing Spider-Man 2, the web-slinger has his hands full with multiple villains at one of the busiest intersections in the world. Sony Pictures is capitalizing on the new year’s festivities. 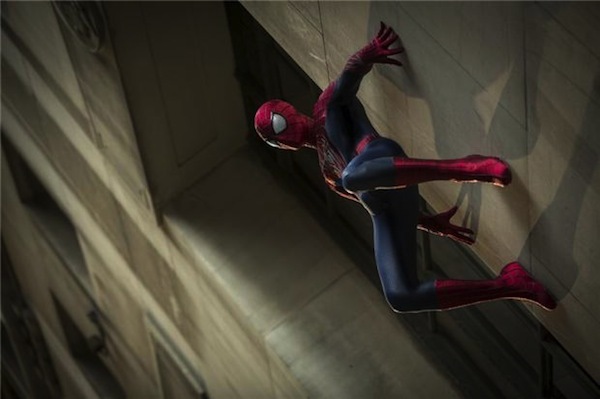 While most of you were celebrating, the studio released a new trailer for The Amazing Spider-Man 2. Coincidentally, it features footage set in Times Square during peak hours. Up to 39 million people visit Times Square each year. That means it’s a hotbed for tourism, business and innocent bystanders. It’s the last place you’d want a high-stakes battle to break out. But that seems to be the case in the following clip. The video gives us a sneak peek at a fight between Spider-Man (Andrew Garfield), Electro (Jamie Foxx), Rhino (Paul Giamatti) and maybe someone else. Spider-Man is fast, agile and strong but he can’t be in multiple places at once. Watch as he attempts to protect Times Square from the villains’ reckless behavior. Electro is using his powers to darken the street, while Rhino’s suit helps him destroy buildings. There’s a jaw-dropping scene where Spider-Man keeps a car from landing on a police officer. How does he do it? He swoops in and catches it like a foottball. No stress and no strain. The Amazing Spider-Man 2 is directed by Marc Webb and co-stars Emma Stone, Sally Field, Dane DeHaan, Felicity Jones and Chris Cooper. The film opens in theaters May 2.